Floors may become roofs, creating extended outdoor landscapes for play. Fuji Kindergarten utilising even steps and a slide rather than a conventional staircase to connect the roof-scape play area with the ground-floor central play area. Walls may provide any number of windows in varying shapes and sizes to invite different types of interaction and connection with the outdoors. 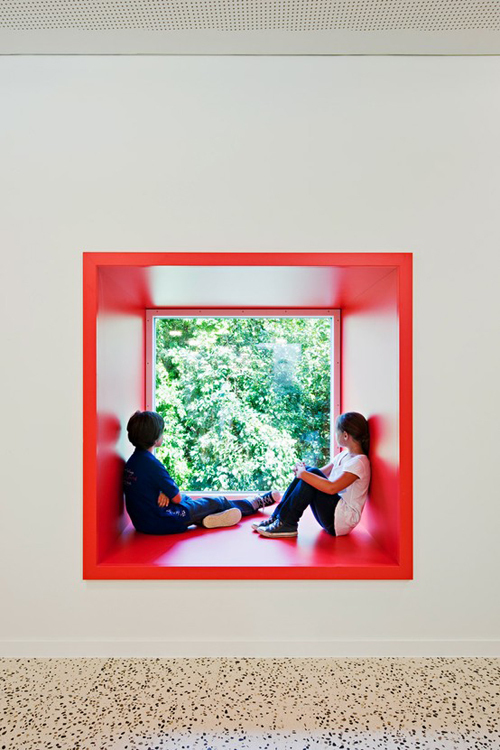 And when deeply inset - may provide smaller "nooks" for children to sit and reflect and take time out from the action. Hallways may become rope nets and stairs a slide! A large atrium space gets fully utilised in the Yuyu-No-Mori Nursery in Japan - where the children may play among the nets above the heads of their classmates. Flexible internal walls may cater for a variety of functions, separating space, creating miniature spaces within, and offering a number of experiences within one larger space. 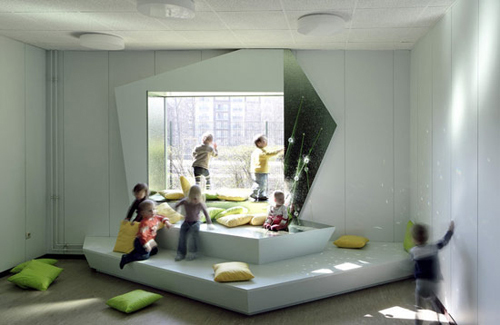 A building's form may even become a giant piece of play equipment - inviting children to climb and interact with it. Likewise, the Taka-Tuka-Land Kindergarten transforms a rather dull building with an exploding facade which becomes a climbing frame. 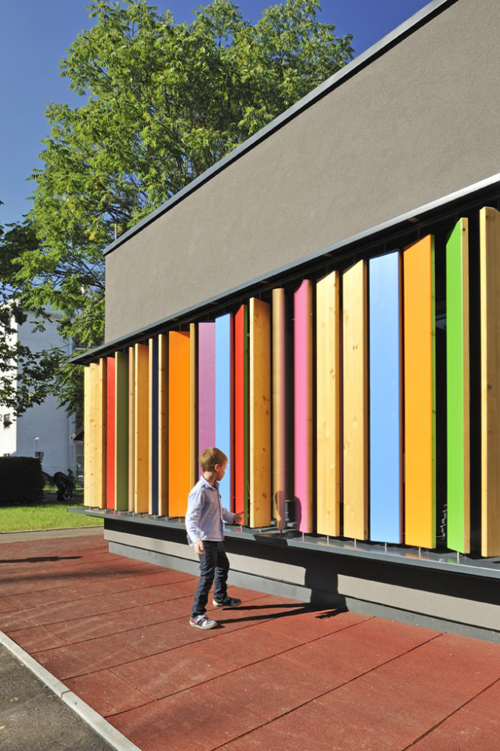 Here a window interacts playfully with the incoming sunlight, creating a glittering and magical experience for the children playing inside. Children thrive on challenges and will make the most of any environment presented to them. 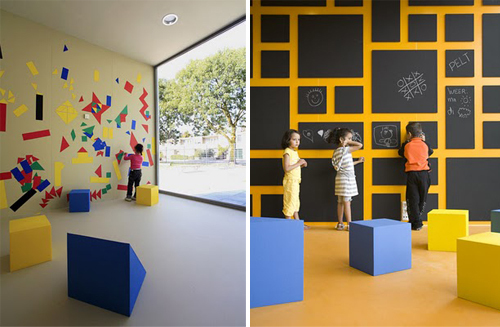 It is exciting to witness therefore, architects who are re-imagining how early childhood architecture might better repsond to the child who will grasp any opportunity to play. All images taken from pinboard 'Children's Architecture'.